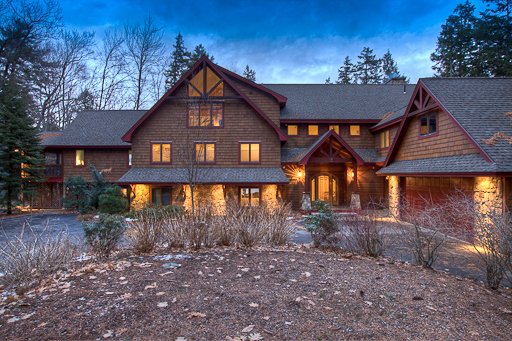 Almost -never-seen privacy, views, and custom craftmanship. 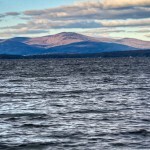 Lake Winnipesaukee Home at Sunset; 'Little Harbor" a World Apart.What's Little Harbor? 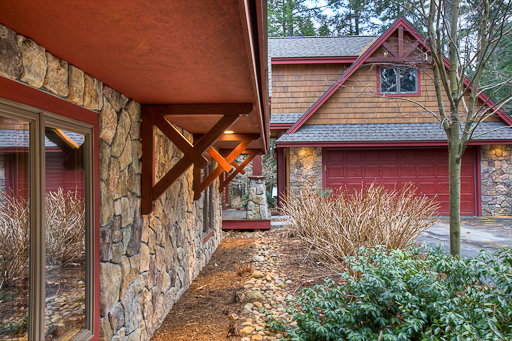 15 Olive Street or "Little Harbor" as the Seller has named it, has the perfect combination of all the right stuff: privacy, long lake and mountain views, and custom craftsmanship. 5 bedrooms, 6 baths, office, library/media room, family room, great room, sun room, kitchen, walk-in pantry, dining room, foyer, rooms for storage... not enough?? This 5425 square foot (by interior wall measurements. The architectural plans have 6000 plus sf.) 4 bedroom home has 400 square feet of additional square footage above the attached garage, which could be finished as a guest suite, office, artist's studio or whatever a buyer would want. Construction essentially recreated in 2004-2005. Home expanded and essentially recreated as new construction for 2005. 15 Olive Street's 1997-built home was completely expanded, renovated, and essentially recreated as a new construction project, which began in 2004 and was finished by the Seller in 2005. Shore front amenities include a U-shaped, separate boat lift with canopy, a swim float, and a mooring; a perched beach permit is pending. For a virtual tour of the shore front amenities and home, chose to view a November video, or a shorter 15 Olive Street video that combines summer and winter shots of this property. Great Location. 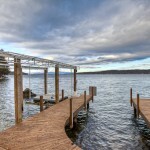 Ideal Lot on Lake Winnipesaukee. Approximately a 2 hour drive from Boston and just 15 minutes from Gunstock Ski Resort, Little Harbor's location is perfect for year round or vacation use. 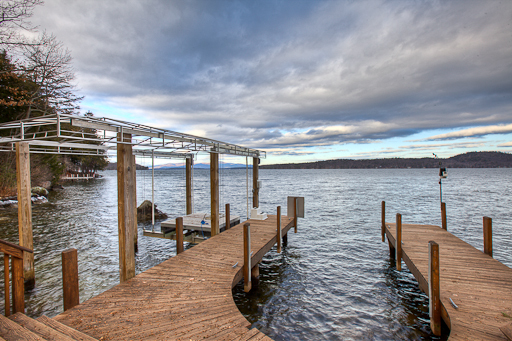 Sited on a level and gently sloping lot, its privacy comes from its 440 feet of Lake Winnipesaukee waterfront. The stunning landscape features long views from every foot of shorefront. Enjoy plenty of space for dozens of friends to visit or indulge in total privacy! Sited to capture a view of Rattlesnake Island the Ossipee Mountains, Little Harbor sees the pink-hued shades cast by the setting sun. During the day, Rattlesnake Island reflects its image on a still lake. Lake Winnipesaukee curves around Rattlesnake Island. 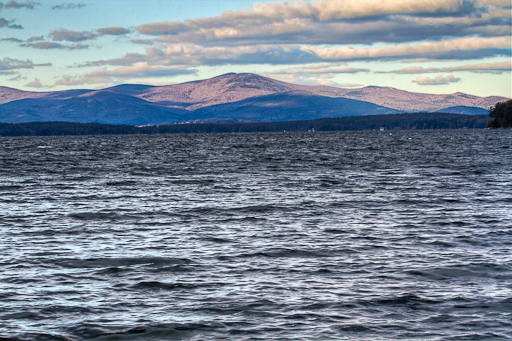 You are reminded that Winnipesaukee has 288 miles of shoreline and is approximately 21 miles long. Watch the moon rise above Rattlesnake Island in the summer. 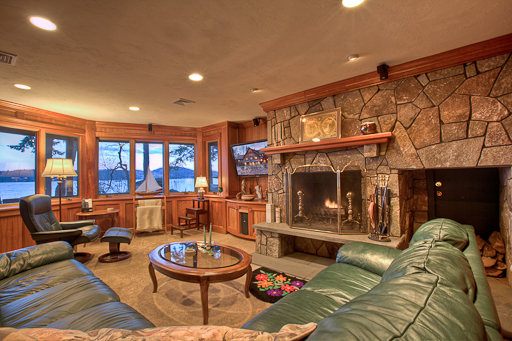 Enjoy a fire on a winter evening with the breadth of Winnipesaukee before you. Stretch your vision beyond Diamond Island and across "the Broads" to the North. Turn to look across the length of Rattlesnake towards Wolfeboro to the East. The summer sun lights somewhere at Little Harbor until very late afternoon in the summer, but shade is always available amidst the landscaped perennials, walkways, and towering pines. 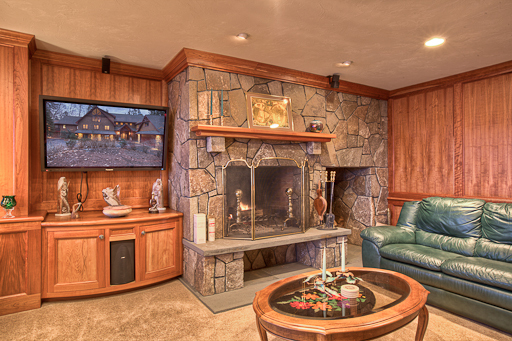 The moon on a winter evening can be watched while warming by one of your five fireplaces. 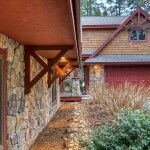 5425 square feet of custom craftmanship by Premier NH Home Builder. The open concept interior has a Chef's kitchen with medium distressed custom cherry cabinetry for a luxurious, rustic look. Appliances include a Viking Refrigerator, a warming drawer, and are primarily high end Miele brand. A Subzero wine refrigerator has 2 beverage drawers and cherry panels that match the rest of the kitchen's cabinets and paneled appliances. This luxury kitchen opens to the vaulted 4 season sun room with "hand-made on site" custom cherry window seats; the window seats are in 2 levels, one level for dining, and one level perfect for curling up and reading. The sun room is perfect room for relaxing and admiring the views of the Ossipee Mountains in the distance, about 20 miles across Lake Winnipesukee. 2 exquisite doors flank the fireplace in the middle of the sun room and lead to the screen porch, which has the same red cedar shakes as the rest of the house and mahogany railings. Vaulted great room with continuous glass lakeside. Master Suite with private screened porch. The vaulted great room on the opposite side of the kitchen includes the open concept dining room. 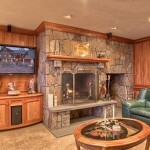 A floor to ceiling gas fireplace in the great room adds warmth; the vaulted ceilings have Queen Anns and puck lighting. The entry level master suite is entered from the great room. It has a corner fireplace and its own, very private, screen porch with the same red cedar shakes and mahogany railing as the other screen porch on the entry level. A large walk-in closet with cherry built-ins and a large tile bath with a jacuzzi tub complete the master suite. Rooms in the lower level have magnificent lake views as well. Lower level rooms include 2 bedrooms, an office, large family room, and a study with custom cherry cabinetry. The magnificent fireplace in the study has to be seen to be appreciated. On the upper level are 2 additional bedrooms with stunning lake views, extraordinary storage, and a bonus room that could be finished for additional living space at Little Harbor. 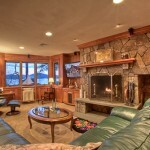 Listed by Nicole Watkins, and one of the many luxury Lakes Region real estate listings at our Firm. (603) 707-7575. Call for more details, including color brochure and floor plans.